Still, Xijiao Plaza, one of Guangzhou jewelry market is a good source for wholesale jewelry in China and it’s adjacent to Guangzhou Railway Station and Guangdong Provincial Couch Station. Xijiao wholesale jewellery market boasts an extensive range of fashion accessories and a large scale of marketing area, which has attracted jewellery manufactures, wholesalers, etc. from mainland China, Hongkong, Taiwan, Korea, etc. For who are interested in visiting the jewellery market to find a China jewelry manufacturer, Xijiao Building jewellery wholesale market is situated at No. 2 Zhanqian Road, adjacent to Liuhua Lake and is only about 100 meters from China Import and Export Fair Liuhua Exhibition Center. It occupies a marketing area of about 35,000 square meters and over 1,400 stores. Xijiao Plaza is the largest fashion accessories wholesale market in Guangzhou, and it is divided into two buildings: Building A and Building B. Xijiao jewellery market covers diverse species of fashion accessories, including hairpin, necklace, bracelet, pendant, ring, earrings, scarves, hats, mobile phone accessories, etc. Some stores also sell some special art crafts of Tibet style, inscriptions, etc. . But again, prices here are not a bargain as could be few years ago. Still a good place to buy few pieces for gifting your friends when you go back home. When compared with Taikang jewellery wholesale market, the products at Xijiao jewellery wholesale market are of much better quality and more expensive. Take Metro Line 2 or Line 5, get off at the Guangzhou railway station, take a taxi from there or walk along Zhan Qian Road to the end, you will find Xijiao wholesale jewellery market. The market specializes in low to middle quality jewelry. Most jewelries are crafted from materials like cooper, stainless steel, aluminum, zinc alloy, titanium and 304/3161. You might run into few shops offering higher quality jewelries made with swarovski, crystals, sapphires, pearls and semi precious stones but chances are rare. The market is walk-able from Guangzhou Railway Station. Though a bit away from metro station, the China jewelry is 20-30 minutes’ walk from Guangzhou Railway Station metro stop. Besides, all the way along you can find wholesale markets of various types and sizes. Product ranges: earrings, rings, pendants, bracelets, necklaces, chokers, etc. Common problems with importing jewelry from China. Not complying with regulations of entering market. It’s essential when you’re importing jewelry from China to EU or US, the jewellery must meet the regulations as these countries have strict rules for jewelry that’s directly attached to the skin. Missing stones. This is quite common with headed jewelry usually as a result of careless handmade work. Wrong stone setting. This happens usually because of misunderstandings, wrong instructions or careless work. Broken chain. For metal jewelry it’s suggested to inspect the chain carefully as broken chains can happen easily with low quality material, poor packaging, handling, etc. Inappropriate electroplating. Electroplating is a method of applying a thin layer of substance onto the surface of another meal. Common problems that occur are sharp edges, cleavage points, cold shut, etc. My first article was written in 2013 and many things are changed in China after 9 years, including the way to source reliable and real jewelry manufacturers in China. Nowadays Xijiao wholesale jewellery market and all Guangzhou wholesale markets are most packed with much more traders than factories. Prices are not affordable as few years ago, there’s lack of service and most important thing, lack of quality control. A trader cares most about the money he can make, more than the product quality. Often you’ll find yourself to pay and high price for low 925 manufactured silver jewelry, made with average, even very poor materials and poor manufacturing. It’s the same when you want to buy wholesale 925 silver jewelry on Alibaba.com. Almost surely you are buying from traders that apply over 100% mark up on the real factory price. To overcome the huge spike of prices in Guangzhou jewelry wholesale markets, I’ve created a joint venture with an Italian fashion, jewelry designer that manufactures clothes and jewelry (gold, silver, steel) in Guangzhou since 2005. Many years spent in finding the best factories that offer the best match quality price. Quality of material and the whole manufacturing process, starting from the design and ending with the product quality checking and sorting. We serve both small and big sellers as well known Italian jewelry brands that trust us for their jewelry production needs in Guangzhou. If you want to know more, feel free to contact us or visit our office at CTF Finance Center. View some of our jewelry collections. Hi David, thanks for reaching out and welcome to Guangzhou. Sure it’s possible if you’re buying from suppliers having stocks. For OEM orders it would require a bigger moq. Iam looking ti buy 925 silver frim a Tiffany shop in Guanghzgou. There was one i used to go to but i havent seen it in a while. I would appreciate any recommendations on where to look. Hi Anita, thanks for reaching out. Please kindly check our services http://www.business-in-guangzhou.com/china-consulting-services. Thanks. I’m a silver jewellery importer from India . Perhaps now I’m buying from liwan plaza . Can you help me source from factories in different areas of china . Hi Sumit, thanks for reaching out. Please email us service@business-in-guangzhou.com what kind of products you are looking for, e.g., product specification, order quantity, budget, our sales representative will get back to you as soon as possible. Thanks and best of luck. Business-in-guangzhou Team. i am looking brass copper jewellery raw material without polish. 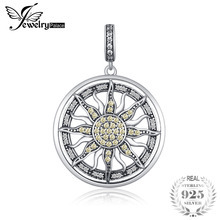 I am looking for fashion religious jewelry. Specifically catholic type gold fashion jewelry. Cross pendant, virgin Mary pendant with cubic zircon, and rosaries. Where is best place in Guangzhou to find this type of jewelry? I will be going in April during Canton Fair. Thank you! Hi Miguel, thanks for contact and welcome to Guangzhou. What about the quality you are looking for? If you are looking for average quality very cheap ones, maybe you can find in the Guangzhou jewelry wholesale markets mentioned in the post. If you are looking for good quality ones, our Italian design and our team with more than 13 years in jewelry sampling, manufacturing can help you with it. Thanks. Hi Tola, you can find lots of African style jewelry in the jewelry wholesale markets. If you are planning to visit Guangzhou you can just go directory to xijiao and taikang jewelry markets. I am a retailer from India, and currently am buying my requirement from Mumbai. I would like to buy direct from China, is it possible that I can buy mixed quantity of different items from shops. I can buy 3-4 colors in a pattern and many patterns. Hi Pankaj, thanks for contact. In many shops with stocks you can mix colors and designs as long as you reach the moq, even in some shops the moq is very small like 24 pieces but it varies. For some designs without stocks they only accept orders and it would require bigger moq per color per pattern. selling company of Raw Gold from Ghana and we seek for buyers and Investors . COME AND TRADE IN REAL GOLD TRADE NOT SCAMMING SCHEME.PRICE IS NEGOTIABLE . Sally, where can we contact you so you can help us in a visit to Guangzhou in october ? 1.stainless steel accesories/jewelry parts and stainless steel necklaces. I will be in Guangzhou in a weeks time to source for these items. Hi dear, welcome to Guangzhou. Try Taikang, Xijiao Liwan Plaza. Sure you can find a mesmerizing array of crystals and stainless steel jewelry. Good luck. I am already buying through online from vendor Xuping Jewelry. I need similar vendors maintaining the quality with various varieties. Hi Sani, thanks for contact. Do you have any plans visiting the jewelry markets in Guangzhou? Or are you looking to source vendors online? Looking for recommendations? What can we do for you? Good luck. I will be visiting Guagzhou on 3rd March.Please do let me know how can we have catch up. Hi Saiful, thanks for contact. Do you want to buy jewelry from Xuping jewelry? Hi dear, thank you for your message. My colleague Ariel will be in touch with you regarding suppliers. Thanks. Hi I am frm Singapore and am keen to find reliable wholesale jewelry to work long term. Hi dear, you can find a lot Asia style jewelry in Taikang&Xijiao Plaza. There are also some suppliers that can do customed designs depending on your designs and order quantity. As to trade show, you can search online. I can’t remember exactly when it is the jewerlry trade show. Hi I’m Melbourne Mell, I run a shop in Papua New Guinea that sells jewellery that compliments my clothing line. 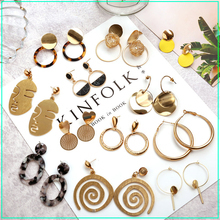 I would like to build a business relations with ylthis company so that you guys can supply me jewellery especially ear rings, necklaces and wristbands. But I want it to be custom designed to my designs. Please contact me via my email. Hi Mel, thanks for your message. We’re buying agent in Guangzhou. If you need help sourcing the right suppliers would be happy to assist with. Thanks and good luck. Hi!Where can I buy hair jewelry in Guonjou? Wedding decorations for hair. Can I buy online? Thank you. Hi you can check around Jiangnandadao(江南大道) wedding street or jewelry markets in Taikang(泰康)&Xijiao(西郊), good luck. Please how can I get in contact with any jewelry wholesale suppliers in China? Hi Luisa, you can search on alibaba or google. If you know a bit Chinese, it’s better to source on China alibaba or visit China and buy from the wholesale markets here. You can also outsource the works to a sourcing agent. Good luck. Hi, I’m planning to visit Guangzhou this mid-July. I am looking to source fashion jewellery (bracelets, rings, chokers, hair pieces, necklaces) for my online store in Thailand. I would like to find good quality stores that would have potential for a long-term business deal. Hello Kay, thank you for your message and welcome to Guangzhou in July. Actually you can find lots of suppliers in the jewelry market taikang 泰康广场 or xijiao西郊大厦, don’t worry it just takes time to source the potential one. Which city are you from? I’m now in Ayutthaya heading to Chiangmai would be back BKK in few days. Hi Heidi, thanks for contacting us and welcome to Guangzhou. Hotels near Haizhu square or Guangzhou railway station would be better to go to the two major jewelry markets. As to guide or buying agent service, my colleague Ariel would be in touch with you. Thanks. Hello Mr.Mohammad,i sent you the email just now, please check it. Ariel.Best Regards. Hi Josh, thanks for contacting us. My colleague will be emailing you about accessories purchase. Thanks. Hello, I’m from Colombia. I need a reliable partner to help me. Hi Ache, thanks for your message. We’re happy to be your partner in China. Please contact me so I can send you pics of the kind of accessories we’re looking for. Hello I am a wholesaler and retailer of fashion jewelry from Nigeria. I plan to be in China towards the end of April. Can any one link me up with reliable manufacturers of fashion Jewelry in China? Hello Bosun, welcome to China. As to fashion jewelry, my colleague Ariel will follow up and will be in touch with you. Thanks. Hi Mubarak, thanks for contact. What kind of jewelry are you looking for? I will arrive Guangzhou April 14 from the US to attend the Canton Fair. This will be my 10th trip to China to attend trade shows and to visit vendors. 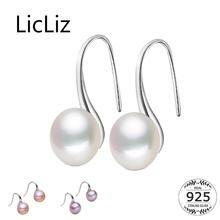 This will be my first visit to purchase freshwater pearl necklaces and earrings. I would like to purchase enough to show customers back in the US and then to establish contact with a dependable and reliable factory or wholesaler that I could purchase from when I return to the US. Up until now I have imported steel building accessories in 20′ containers. I would pay a guide if he or she could select quality items and negoiate a favorable price. If you can be of assistance please let me know. and thank you for the information in this article it is VERY helpful! Hi Leo, you can find in Taikang and Xijiao jewelry markets. If you need help, we’re very happy to assist you with buying and shipping, thanks. Hi Roberto, thank you for your message. My colleague Ariel will be contacting you regarding jewelry distribution. Thanks. Hi Dee, thanks for contact. My colleague Ariel will be in touch with you regarding jewelry purchase. Thanks. Hi Luis, what kind of steel jewelry are you looking for? Hi I’m coming to china early August and would love places to buy costume (fresh water pearl, cubic zircon,crystal) bridal headpieces and jewellery, evening clutches and bridal shoes. I’m thinking of going to Shenzhen and Guangdong. I want to make good contact with manufacturing companies for long term business. Any suggestions appreciated. Hi Jeanette, thanks for contacting us. and welcome to guangdong. Are you looking for stocks or OEM orders? Hi sally I am coming to china on the 11th to Guangzhou and I am looking for some Chinese antique jwlleries and some bohemian and pearl jewlleries..I will be staying near liwan plaza so how can you help me and could you please send me your contact details !! Hello Shraddha, thank you for your message and welcome to Guangzhou. We’re happy to help you source jewelry from liwan plaza or from other jewelry markets and factories. Here is the contact info: sally@business-in-guangzhou.com. Thanks. We are the Spokesman of some brands of gold and silver jewlery in Kazakhstan. We are planing the trip to China, before we need make a list the place we need visit as we interesting in silver suppliers. We hope to a big deal. Be kindly Reply by suppling information about silver suppliers in GuangZhou or just call me back.